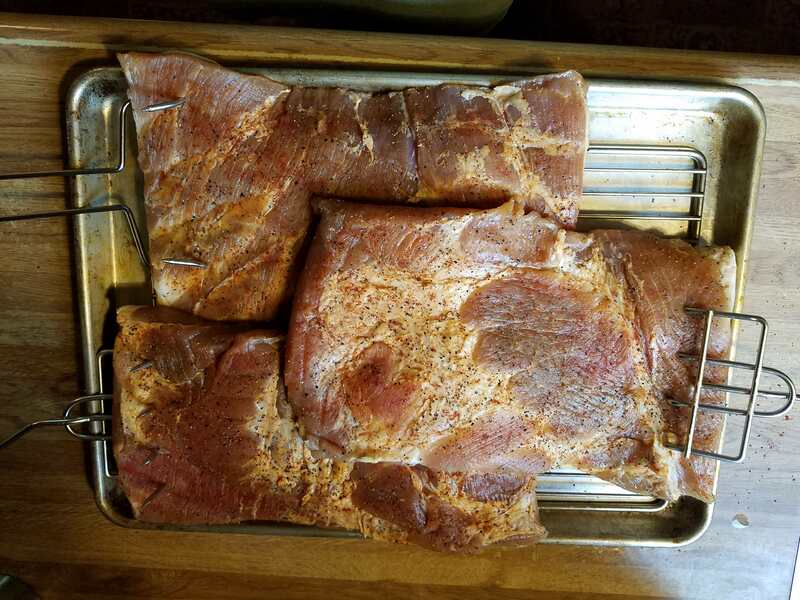 Thread: Smoking with the "Griz"
Got it, yes it's pre-cooked hickory smoked (ready to eat is what it actually says), so I'll probably do the same. Yup adding more smoke to supposedly smoked ready to eat hams while warming up to serving temp makes it much better. Did just the basic cure this time MTQ and brown sugar. Rinsed and soaked for 30 minutes patted dry. 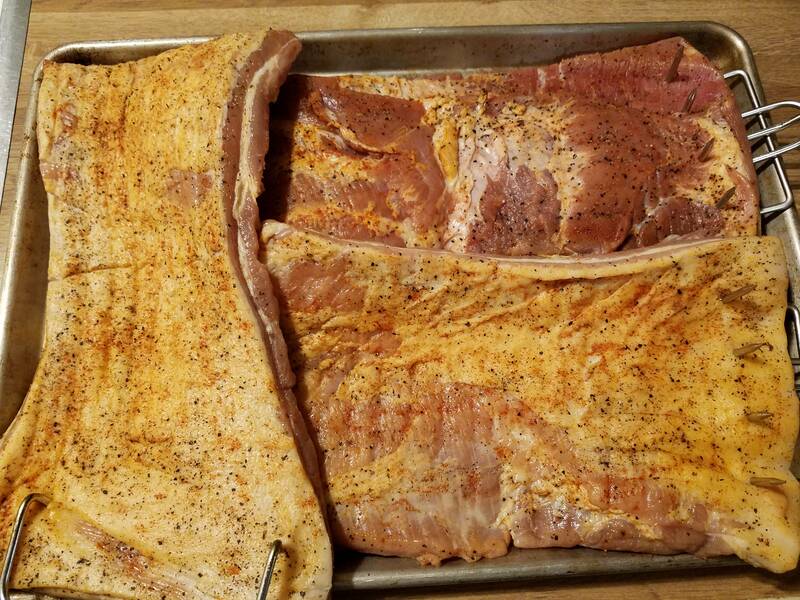 I only had 3 hours to let it dry in the fridge.Then sprinkled smoked paprika and black pepper rubbed it in and off to the smoker goes the bacon. Last edited by hawgrider; 11-04-2018 at 02:16 PM. Gave it 7 hours of hickory. 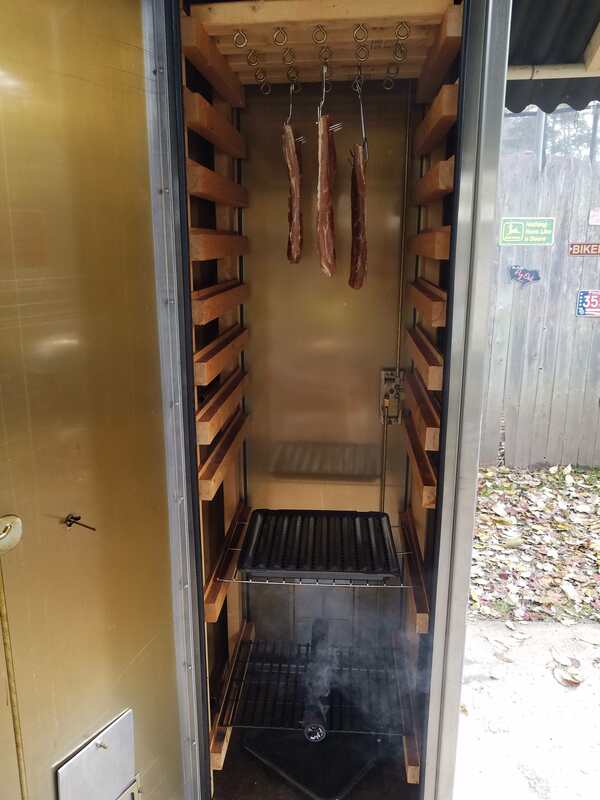 Stayed under 60° in the smoker all day. Probably slice it tomorrow. Last one is Lansing made crack season and smoked paprika calling it smokin crack. Using apple and hickory pellets will let go tonight and pull it out when I get up in the morning. Good flavor mixes. The smokin crack sounds interesting! How did the bacon look this morning? Could smell it across the yard this morning picked up a light color will be slicing up tonight and frying up some with dinner. Looking forward to the flavor report. After 3 different batches of bellys to bacon and extensive taste testing. Both the woman and I like the hickory smoked the best. The hickory just plain and simple belongs on bacon.